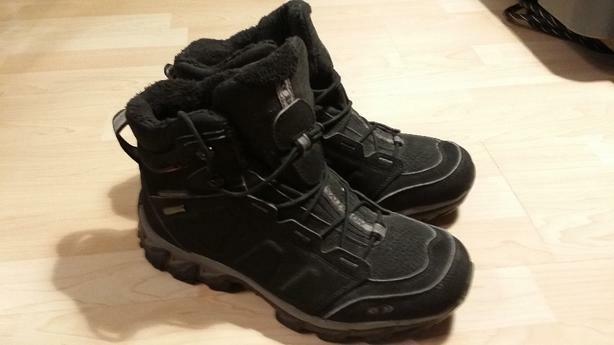 Selling my Salomon Elbrus winter hiking boots. These are waterproof and insulated and feature Contagrip technology. Bought at Sail for 160 and wore them once. These are in perfect condition. Like new.